I find myself with the impulse to make french ressources available to english speakers, so here is one that really rock’n rolled the beginning of this year: Ariane Mnouchkine’s new year wishes. Ariane Mnouchkine is one of France’s top artists. She created the Théâtre du Soleil (much more ancient than the circus of the same name) where every couple of years she stages astounding spectacles and plays and just leave you speechless. She has been an activist since the 60s on many subjects. Last January she published online a text which resonates deeply with my way of seeing things and the future, and it brings a very positive impulse in a time when despair could be an easy refuge. I have translated it below. I hope her vibrant style comes through. At the dawn of this year 2014, I wish you much happiness. Once said….what is left? What do I really wish for? First I wish us a perilous escape and then a huge construction work. First an escape from this viscous sadness that is poured all over us by the truckload everyday; this poisonous slime made of self-hate, hate of the other, distrust of everybody, passive resentment, sterile bitterness, victimized hostility. An escape from the sneering skepticism, welled up with its own sense of importance, an escape from the prophets announcing, triumphantly, the inevitable failure, an escape from the weepers and vestals of a past forever aborted that blocks any future. Once this difficult escape has been achieved, I wish for us a colossal, pharaonic, himalayan, unheard of, construction work; a work that is superhuman, precisely because it is completely human. The work of all works. The construction site on the fence of which, once the elections are over, our elected representatives put in a hurry the sign saying: « Authorized personnel only ». I think I dare talk about democracy. Being asked our opinion from time to time is not enough anymore. Not enough at all. Let us declare ourselves in charge of everything. Let us enter this construction site. Without violence. Without screams or rage. No need for hostility. Just trusting. Looking. Listening. Being consistent. As it happens, we are the State. Let us open laboratories or join those, already countless, where men and women are already finding answers to so many questions and issues, imagining and suggesting solutions that only need to be experimented and put into practice, with boldness and caution, with confidence and high standards. Let us add some more small free areas to those that already exist. Yes, those little brave instances that incite to creative courage. Let us experiment ourselves, let us experiment, humbly, joyfully and without arrogance. Let failure be our teacher, not our censor. Let us try again a thousand times. Let us observe with scrutiny our tiny test tubes or our gigantic apparatuses so as to concretely move forward in our search for a better human society. For this work will carry us from the microscopic to the cosmic, us and already those who are tackling it. Like the poets who know that sometimes it is the time to write an ode to a tomato or an eel soup, and sometimes the time to write Les Châtiments. Save a medicinal plant in Amazonia, grant women freedom, equality, and often, just life. And above all else, let us tell our children that they are coming on a planet just at the beginning of a story and not at its disillusioned end. They are at the very first chapters of a long and fabulous saga, of which they will be, not silent pawns but on the contrary, indispensable authors. They have to know that, oh wonder!, they have a work made of a thousand works to accomplish, together, with their children and the children of their children. Let us tell this loud and clear, for many of them have heard the opposite, and I think it leads them into despair. What would be a more brilliant inheritance for our children than to know that genesis is not finished yet and that it belongs to them. What are we waiting for? The year 2014? Here it is. 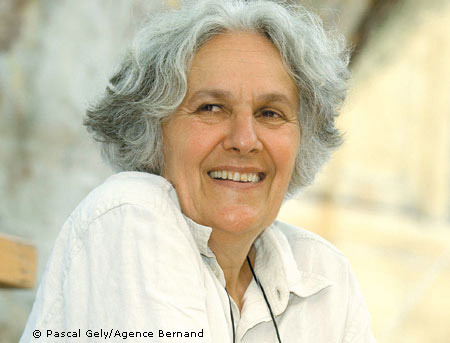 Ariane Mnouchkine, founder of the Theatre du Soleil.